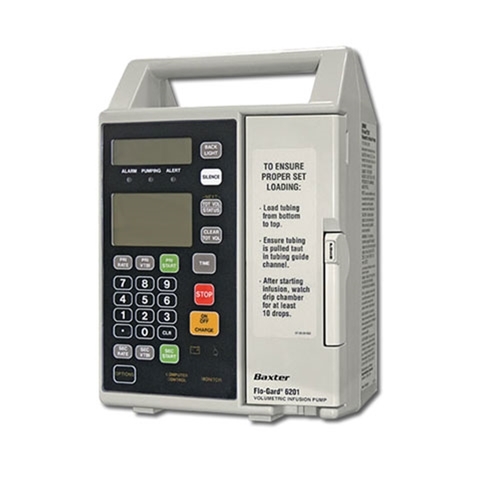 The [email protected] 6201 Single Channel Volumetric Infusion Pump is an electromechanical pump used for the intravenous infusion of liquids at user-selected rates. The pump contains a linear peristaltic pump head which is programmable and permits infusion of primary and secondary medication programs. The secondary program automatically switches over to the primary program when secondary infusion is complete (automatic piggybacking).